Sweetwater Park is a beautiful community, which features some of the largest lots in the area. 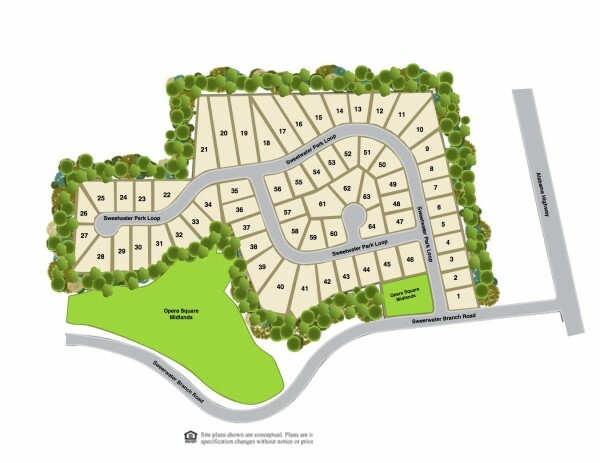 From the low 200’s, this subdivision, with all of its premium standard features is highly attractive. Sweetwater Park is a must see, come pick your lot and start building your dream today! Take Highway 431 South & turn left onto Highway 165. Travel approximately 10 miles and turn right on Sweetwater Branch. The community is on the right.